Over/Under: Under 156.5 at 1.90 Bet Now! With these two teams sitting in the first two places in Group B, it is likely that they will both be aiming to qualify soon to the Top 16. However, top spot is up for grabs and a win in this could go a long way to deciding what team goes through as the top dog from the group. The hosts have a 5-1 record for the season and lead the way in a number of different ways. They have allowed the smallest amount of two point shots this season, 16.5 and they have also grabbed the most rebounds in the Euroleague with 40.3 rebounds per game. Georgios Printezis has been the key player for the hosts so far this season but he is allegedly a doubt for this game. 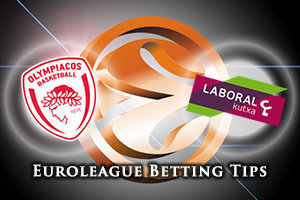 Add in the fact that there are questions over the fitness of Vassilis Spanoulis as well and it could be a weakened team for the hosts in the big game this Thursday evening. The away team know that they can call on the player with the best index rating so far in the season. Ioannis Bourousis has grabbed an average of 25 per game and he will be fired up for this match because he played for Olympiacos for 5 seasons. Laboral have performed well offensively, sitting second with respect to scoring this campaign, offering up an average of 88.7 points per game while they have performed well with respect to points drawn and free throw percentages. Fabien Causer and Adam Hanga could also have a role to play in this game for the away team. 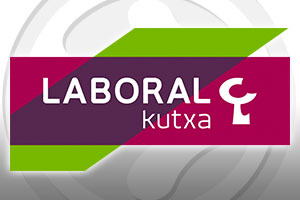 The hosts are backed in this game but taking Laboral Kutxa Vitoria Gasteiz at +7.5, at odds of 1.90, is likely to be a sound bet on Thursday evening. There is also the Over/Under market to look out for and going UNDER 156.5 at odds of 1.90 is a sound bet for Thursday evening. Bet Now!